You can love the game, you can understand the game, but not everyone can earn a living playing the game. If you're lucky you find some other way to fit. That was the case for Jason Botterill. 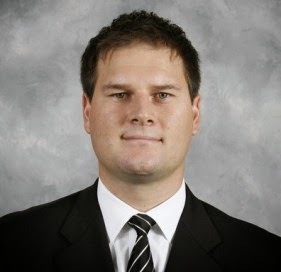 Botterill was a first round pick out of the University of Michigan by the Dallas Stars in the 1994 Entry Draft. He was a big forward with some scoring touch who could also play an aggressive game. He only played 88 NHL games over various call-ups but spent most of his playing career in the minors before concussion problems forced him to retire in 2005. 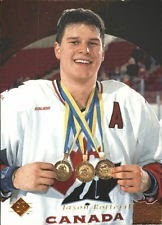 He never played an NHL playoff game but did pick up three gold medals representing Canada at the World Juniors. Jason went back to Michigan after his playing career ended and earned an MBA, with the intention of going into corporate finance or commercial banking. Instead, he took an internship with the NHL which led to his hiring in Pittsburgh. The ability to combine hockey knowledge with business acumen is a highly desirable quality in today’s NHL and proved to be the keys to the kingdom for Botterill. He dedicated himself to learning all aspects of running a hockey team including working as a scout, a GM of WBS Penguins and in hockey operations for the Pittsburgh Penguins. It was in hockey operations that he honed a talent for all things salary cap. As the director of Hockey Administration, his role was salary negotiation/research, following the Pens' cap as well as following the caps of other teams. In hockey, teams either have a budget that guides their decisions or, as the Penguins do, they spend to the cap. Botterill’s genius is in understanding the cap much as a chess master understands the intricacies of chess. You may hear on Monday morning that Beau Bennett was sent down to WBS only to wake up Wednesday to the news that he was recalled to the parent team. That’s likely Botterill manipulating cap space. So also, those times when fans become outraged because a less skilled player was recalled over their favorite; it’s all about the hit to the cap. Part of the reason Botterill stands poised to take the helm of the Nimitz-class carrier that is the Penguins is his ability to navigate the treacherous waters of the salary cap. He was named to The Hockey News ‘Top 40 Under the Age of 40’ listing of hockey’s most powerful people back in January and it’s been suggested (half-jokingly) that he knows the cap situation of other teams better than they do. Fans have speculated that Botterill in the GM position will be like cloning Ray Shero. That he has been a 'yes man' with solid cap knowledge. If that were the case, I believe he would have been gone, also. The Pens’ executives are savvy men. They believe they have the right man for the job (sans some fine tuning) and are willing to invest the salary of a veteran GM to groom him into their vision of a GM. Just this season, he stepped down after being the GM for Carolina Hurricanes for 20 yrs. Under Rutherford, the Canes enjoyed three divisional championships, two conference titles and the Stanley Cup. Over the past two years, Rutherford has groomed and mentored former Penguin Ron Frances to move into his seat behind the GM’s desk. In Pittsburgh, his role will be similar. The intention is that Botterill will combine the best of Ray Shero with the best of Rutherford to emerge as a hybrid GM. If the Penguins viewed Botterill’s primary risk simply that he hasn’t run an NHL team before, being under the tutelage of a veteran with no personal agenda should allay those fears. However, the Penguins’ fan base have remained divided over the choice of Rutherford as mentor as well as waiting for the Botterill era to begin. I believe this GM internship (if you will) is a smart move by the Pens. Clearly, Shero fell out of favor more than he dropped the ball. To slide Botterill, whom Shero groomed, directly into the GM seat is to admit as much. The addition of Rutherford as mentor gives the appearance that the ship is being overhauled all the while providing a place for Botterill to make rookie mistakes without taking the heat. It's clear that the future of the franchise will feature Botterill as captain of the ship. What isn't clear is how long it will take for the first #FireBotterill to be tweeted.